You have probably seen PureSleep advertised on “Good Morning America” on ABC, or perhaps you have heard the claims that it is the top-selling snoring solution in the world. Regardless how you heard about it, you are likely full of questions. Does it really measure up? How does it compare to other anti snoring devices? Will it work for you? Well, there is no way to know if it will work for you until you try it, but you should become familiar with all the facts before deciding if it is the right one for you. I personally put it to the test for a full week, and although I found it effective, it is not one of my favorite options. Every MAD has its pros and cons. PureSleep is marketed as the world’s best-selling mouthpiece, but I did have a few complaints that may apply to other snorers. Between the boil-and-bite fitting process and the three lower jaw settings, you can really get a custom fit. 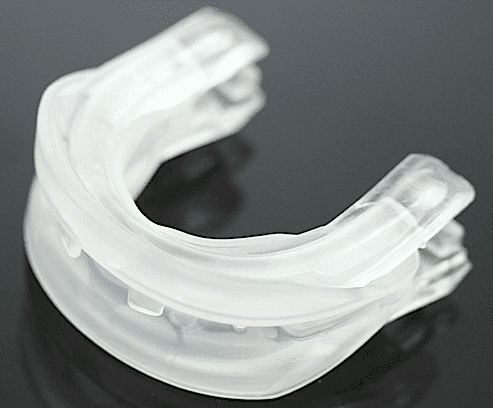 Mouthpiece is made in the USA from two types of plastic that are BPA- and latex-free. PureSleep is cleared by the FDA. Air holes allow you to breathe through your mouth. 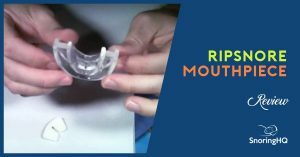 These mouthpieces typically last from six to nine months unless you grind your teeth. You get two for the price of one, and only pay shipping upfront. Since the jaw setting can’t be changed once you do the boil-and-bite technique, it is very important that you get the setting right. Cleaning takes a little more effort than some mouthpieces. PureSleep can’t be worn with full dentures or loose teeth. This device may cause jaw soreness and drooling. Although accredited by the Better Business Bureau there are old complaints against the company, but they have been resolved. Shipping can take two to four weeks. PureSleep is a good stop snoring mouthpiece option, just not my favorite. There are similar options that are slightly more comfortable and easier to clean. It does offer several settings during the fitting, so for someone that wants a really perfect fit, PureSleep might be the best option. 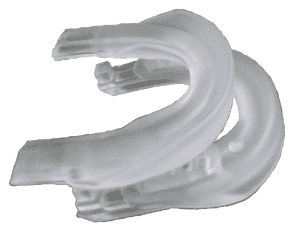 PureSleep is classified as a mandibular advancement device (MAD), so it works by holding the jaw in a forward position. By doing this it reduces the risk of the tongue collapsing to the throat, thereby causing a partial obstruction of the airway. When the airway is kept clear soft tissues do not vibrate. No vibration means no snoring. Unlike most MADs that come as one piece, PureSleep arrives as two pieces. You have an upper and lower piece that can be connected using one of these settings. The settings control how far the lower jaw is held forward. Once the pieces are connected, you use a boil-and-bite technique to achieve a perfect fit. Now, this high level of customization has its advantages and disadvantages. On the positive side, you really can get an extremely good fit with this device. However, once you select a setting and use the boil-and-bite method, the setting can’t be changed, which means you have to get it right the first time. 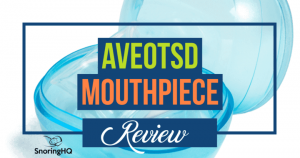 Plus, the fact that it arrives as two separate pieces tells you there are going to be more crevices than most mouthpieces have to harbor bacteria. So, you absolutely can’t cut corners when it comes to cleaning. PureSleep is made in the USA and FDA-cleared, and it is made of two types of BPA- and latex-free plastics. This oral appliance does have airflow holes to allow you to breathe through your mouth while you sleep. By the time I tried PureSleep, I had already put both ZQuiet and Zyppah to the test, so the device was at a disadvantage. I loved both the above mentioned MADs, so PureSleep really would have had to be extremely special to stand out as a frontrunner. That being said, my experience with this device was still quite favorable. When I ordered, I was surprised that I had to answer a 21-question form to make sure the device was a good match for me. Some people may be a little annoyed by this, but I actually found it refreshing. I would rather be told upfront that I’m not a good candidate for the device than have to deal with a return. Shipping did seem to take forever. The devices I ordered arrived a little over two weeks later, which was a pretty lengthy delivery time compared to most other mouthpieces. I had already read that the fitting process was a little trickier than other MADs, so my wife and I made a point to take care of this right away so they would be ready for the evening. Deciding which setting to use took a very long time. With most mouthpieces, we could have tried it for the night and then refitted it the next day if it wasn’t quite right. Since you don’t get second chances with the setting, we probably spent well over an hour just trying all three options. That night, I did appreciate that I spent so much time on the fitting because it really did feel tailored to my mouth. My wife said the same thing about her device. The material felt smooth against my gums. I did drool a little, but I usually do with a new MAD. The next morning, we both felt well-rested. Our teenage son said he didn’t hear any snoring from us at all. My wife said her jaw was really sore. I could tell she wished she would have gone with a different setting, but she didn’t dare admit that to me. I cleaned both mouthpieces while she made breakfast, and I will say that the many crevices of this highly customized piece did demand a little more attention. PureSleep continued to be an effective stop snoring solution for the full seven-day trial period. By the fourth morning, my wife said her jaw was not nearly as sore. Overall, we had a positive experience, but the fitting and cleaning processes were two things we were not crazy about. Considering the custom fit you get, pricing is pretty good. The price is $59.90, and for now, you get two for the price of one. You do not have to pay for them upfront though. You pay $9.95 to cover shipping. You have 30 days to try the device before your credit card gets charged. If it’s not for you, you send them back and the only charge you have paid for is shipping. However, if it takes a few weeks to get to you, you do need to make your decision quickly. PureSleep is a moderately priced MAD. However, the SnoreRx has more features, great customer service, fast shipping and is our number one rated device. For only $25 more you can try the best-in-class SnoreRx with a 100% money back guarantee. 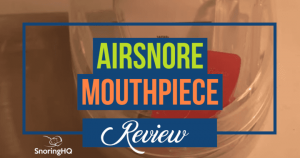 Read my SnoreRx review. If you prefer a stationary device instead of one that is flexible, Zyppah would be a good option, too. Its streamlined design takes up minimal space in your mouth, and it has a rubber strap that holds your tongue in place. It does cost $89.95, but shipping is free. PureSleep did not work for us. There’s no way you can get it fit properly. You buy some plastic for $79.90, it’s outrageous! Tried pure sleep. Jaw pain never went away. Felt like TMJ in the morning (I don’t have TMJ). I wear plyable rubber (soft) in the ear canal hearing aids. Ear canal hurt in the morning. I’ll try Zyppah and hope the mandible does not advance too forward. I am a doctor and if this product causes problems, will write the FDA. Tried “Pure Sleep”. It did not work as described and was very uncomfortable. Definitely do NOT recommend. Would only give it a 1 Star. Save your money!